The UK is rolling into winter and the mercury is dropping fast, so believe us when we tell you that an invitation to a beach party was the last thing T3 expected to get this morning. Rockstar Games has announced intends to hold a series of beach parties in Grand Theft Auto 5's online mode this weekend as part of what it's calling the very first Grand Theft Auto Online Social Club Event Weekend. 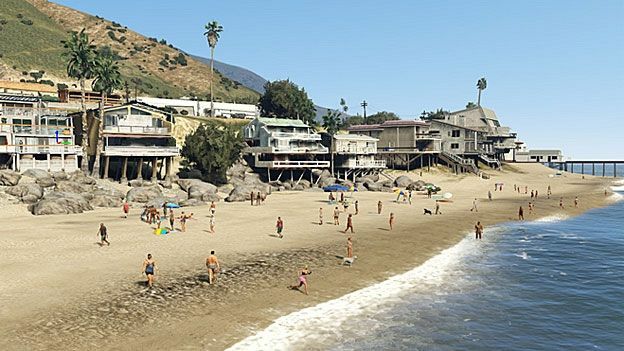 Players are encouraged to hit the beaches of Vespucci, Chumash and Paleto Bay, or they can watch the parties unfold on the Rockstar Social Club or Twitch. The Vespucci Beach Party will offer players access to a Social Club Event Playlist that's composed of ten of the developer's favourite missions from the recently released Beach Bum DLC pack. The players who do the best in these missions will win in-game rewards such as unique vanity license plates for their cars. Rockstar says they'll also be dropping Event Crates into the game's Free Roam mode containing high-powered weapons, cash, clothes, in-game bonuses and more than double the usual RP (in-game XP). The developer also says players should be on the lookout for sweepstakes that can net them real-world swag.